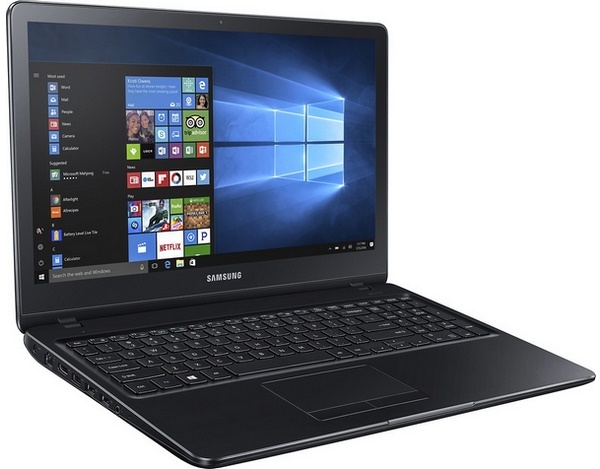 Samsung NP530E5M-X02US is a mid-size laptop with a 15.6 HD touchscreen and Intel Core i5-7200U processor. The Kaby Lake processor runs at 2.5 GHz with Turbo Boost rising the frequency up to 3.1 GHz. Besides the integrated HD Graphics 620, it’s equipped with NVIDIA GeForce 920MX with 2GB of dedicated graphics memory. But the entry-level graphics card won’t be enough for some graphics demanding apps. It has 8GB of memory out of the box and a 1TB 5400RPM HDD.